Dennett can move his eyes synchronized (some even asynchronized depending on the genetic heritage) and the movements are controlled by the cooperation of several groups of muscles around the eye. Note that the eyes of Professor Dennett have the coveted autofocus feature. It is so important in modern digital cameras that few are made for the general public without at least a rudimentary system. Our professor can focus his eyes without steps from macro mode to infinite and the motor makes no sound and is fairly fast. His vision covers about 180 degrees, a bit less, depending on the location of the eyes and has selectivity recognizing and alerting about movement like a good security camera while providing the brain with most information about the main area of focus. This selectivity and keeping down the overall information while still sensing movement in other areas of vision is quite useful for us for example when we are hunting and simultaneously trying to survive from being hunted down in a jungle or field of war. 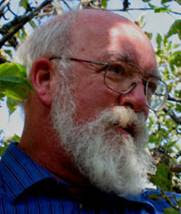 The eyes of Professor Dennett are regularly watered by a reflective movement of eyelids and drops of tears for maintenance of the delicate surfaces. Tears have also another function for humans showing emotions, sorrow or happiness. His eyes are further protected by eye lashes that provide shade and filter out dirt from the air near by (they also enhance the beauty of women and perhaps of men too). Eye brows are set above the safely designed deeper eye sockets and direct the salty sweat that is created by the cooling systems of human forehead away from the eyes. That cooling liquid would otherwise irritate the sensitive surfaces of the eyes. The eyes of Professor Dennett are further protected by a sophisticated system of eyelids. Should something fly dangerously towards his eyes, even a small insect or something, the system recognizes the danger and eyelids close automatically without his being able to influence the system decision. The closing of the lids for watering and for protection is extremely fast reaction so that we use in most of our human language the expression "in a blink of an eye" or its equivalent. His eyes are furthermore sensitive to the brightness of light, his pupils automatically adjusting the exposure and the photosensitive cells at the back of his eyes been partly specialized for seeing in the dark night and partly in bright daylight. We have not yet even started to talk about the systems that convey light from the eyes of Professor Dennett through complicated neural systems deep into his brain where somehow a corrected, not upside down, image of the surroundings are formed. This electro-magnetic image is somehow translated into human consciousness (and ant and butterfly and rat consciousness) to produce meaningful information about what is going on. We know the region and we have learned a lot about the electronic signals that are generated so that there is even hope for true "mind reading" and translating of these signals into something that a handicapped person can use for his or her benefit. And the secret police, of course. Professor Dennett is obviously a very wise and learned man who has achieved much in life. He spends time teaching other human beings Philosophy, Love of Wisdom, and is particularly interested in cognitive systems that enable humans and others to recognize things. Dennett has figured out in his brilliant mind to his satisfaction how eyes have evolved upon Earth as a combination of just the right selective pressures from the Darwinian environment and effect of series of lucky mutations. He concludes that no spirits or gods are needed for the eyes to evolve. This he tells in the August 28, 2005 New York Times Op-Ed Show me the Science so it is not exactly news seven years later - but still highly relevant. Although as a Theologian I am not an expert of Cognitive sciences nor of Evolutionary Biology I can still recognize the importance of systematic scientific research and give it high value. Learn from it and encourage others to study. But unlike the famed atheist professor defending the independence of State from religion I conclude from the scientific research that I have been able to comprehend that I have even more reason to admire and praise the God of Israel, the only real God there is. As is written in the Letter to the Romans by Saint Paul and in the Letter to the Hebrews possibly by Apollinus the immense wisdom of God can be SEEN in His works - such, I think, as the eyes of all living things - although He is Himself INVISIBLE to the eyes He has created to us. I thank God the Creator for the eyes He has given to me as a loving gift, the ability to see, the eyeglasses that help me, the healthy vision which is not at all a guaranteed thing in these days of ours. I recommend that you do the same and may God keep your eyesight 120!